Dr Micah Nehrings’ research interests are in: Mine Planning, Production Scheduling Optimisation, Optimal Ultimate Pit Limit (UPL) determination, planning for In-Pit-Crusher-Conveyor (IPCC) systems. Micah is a Lecturer within the Division of Mining Engineering of the School of Mechanical and Mining Engineering. He leads the High Performance Surface Mining Research Group which is heavily focused on delivering high quality research outcomes in the planning and installation of In-Pit-Crusher-Conveyor (IPCC) systems. 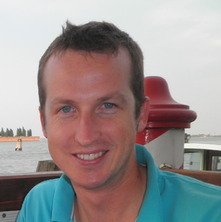 Micah joined the School in 2011, after completing his PhD at The University of Queensland. Micah has since undertaken an early career academic program which has resulted in collaborations with European universities in Sweden, Germany and Kazakhstan. Micah has also developed an industry network that works with him in the implementation of some of his groups research outcomes. Micah research outputs have been published in numerous high ranking journals including Minerals Engineering, Journal of the South African Institute of Mining and Metallurgy, Mining Technology and the International Journal of Mining, Reclamation and Environment. Uren, Z. and Nehring, M. (2015) Development of Dozer Push Optimisation Software for Commodore Coal Mine. Journal of Research Projects Review, 4 1: 59-65. Smith, C. B., Nehring, M. and Bosompem, M. K. (2014) A critique of selective mining unit sizing at Century Mine to optimise productivity with dilution. Journal of Research Projects Review, 3 1: 63-68. Nehring, M., Topal, E. and Little, J. (2010) A new mathematical programming model for production schedule optimization in underground mining operations. Journal of the South African Institute of Mining and Metallurgy, 110 8: 437-446. Micah Nehring and Topal, E. (2009). A New Short-Term Production Scheduling and Machine Allocation Model Using Mixed Interger Programming for Application in Sublevel Stope Mining Operations. In: Peter Knights and Paul J.A. Lever, Proceedings of the 2009 Australian Mining Technology Conference. 2009 Australian Mining Technology Conference, Brisbane, Australia, (116-133). 27-28 October 2009. Shafiee, S., Topal, E. and Nehring, M. (2009). Adjusted real option valuation to maximise mining project value – A case study using century mine. In: Project Evaluation 2009 [electronic resource] : proceedings : "moving forward in challenging times". Project Evaluation Conference 2009, Melbourne, Australia, (125-134). 21-22 April 2009. Shafiee, S., Nehring, M. and Topal, E. (2009). Estimating average total cost of open pit coal mines in Australia. In: Peter Knights and Paul Lever, Technology solutions for challenging financial times. 2009 Australian Mining Technology Conference, Brisbane QLD, (134-146). 27 - 28 October 2009. Little, J., Nehring, M. and Topal, E. (2008). A new mixed-integer programming model for mine production scheduling optimisation in sublevel stope mining. In: P. Knights and P. J. A. Lever, Proceedings of: 2008 Australian Mining Techology Conference. 2008 Australian Mining Techology Conference, Twin Waters, Sunshine Coast, QLD, (167-172). 16-18 September, 2008. Nehring, M. and Topal, E. (2007). Mixed integer programming model for mine production scheduling of sub-level stoping operations. In: Smart technologies for overcoming the skills shortage. 2007 Australian Mining Technology Conference, The Vines, Australia, (). 2th - 4th October, 2007. Nehring, M. and Topal, E. (2007). Mixed integer programming model for mine production scheduling of sublevel stoping operation. In: M. Hood, P. Knights and P. J. A. Lever, Proceedings of the 2007 Australian Mining Technology Conference. 2007 Australian Mining Technology Conference, The Vines, Western Australia, (136-149). 2-4 October 2007. Nehring, M. and Topal, E. (2007). Production schedule optimisation in underground hard rock mining using mixed integer programming. In: Project Evaluation Conference 2007. Project Evaluation Conference 2007, Melbourne, Victoria, (169-175). 19-20 June 2007. Nehring, Micah (2011). Integrated Production Schedule Optimisation for Sublevel Stoping Mines PhD Thesis, School of Mechanical and Mining Engineering, The University of Queensland. Nehring, Micah (2006). Stope sequencing and optimisation in underground hardrock mining B.Sc Thesis, School of Engineering, The University of Queensland.